Freyja's Daughter Tarot – Tagged "tarot reading"
Here is a quick list of Ten tips for you to take your tarot reading from basic to best! This was the steps and progression that I used to learn how to read tarot, and move from a beginner to the professional tarot reader I am today. Tarot is a skill and and an activity that requires reading, study and practice but if you put in the effort and just do the work and take the initiative, you too can master this amazing tool for personal transformation and insight, and become a Tarot Reader. It isn't that hard! Borderline & Tarot A tarot journey of understanding and healing, representing and reflecting darker issues of life, with moments of whimsy. A true reflection of my own state of mind this past year that altered between weeping and wit. So the predominant themes of this tarot deck tackle issues of sexuality, feminism, & mental health. Although following closely to the Rider-Waite-Smith tarot system, it at times shows the darker and more cynical aspects. 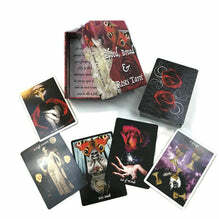 A tarot journey of understanding and healing, representing and reflecting darker issues of life, with moments of whimsy. A true reflection of my own state of mind this past year that altered between weeping and wit. So the predominant themes of this tarot deck tackle issues of sexuality, feminism, & mental health. Although following closely to the Rider-Waite-Smith tarot system, it at times shows the darker and more cynical aspects.